In the upper reaches of the UK car market, there really ain't no replacement for displacement. 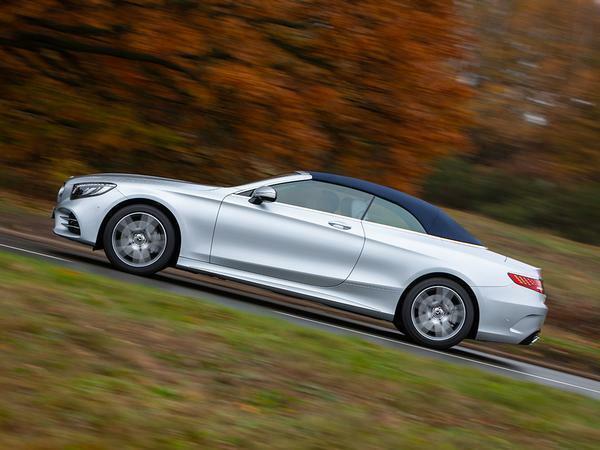 See Mercedes-Benz S560 Cabriolet as case and point. Even in these times of expensive petrol and eye watering tax rates (the S560 costs £1,760 in year one! ), those with the cash remain most interested in big capacity motors. 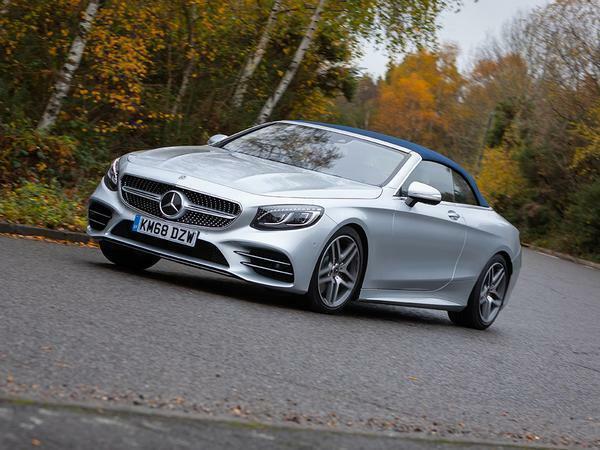 Well, at least they appear to be when it comes to the S-Class Cabriolet, because in Britain the entry-level variant and sole non-AMG model uses a 469hp twin-turbo V8. Presumably, Mercedes has not been tempted to introduce the S450 with the smaller 3.0-litre V6 sold elsewhere because too many UK buyers would turn their noses up at its measly 362hp. 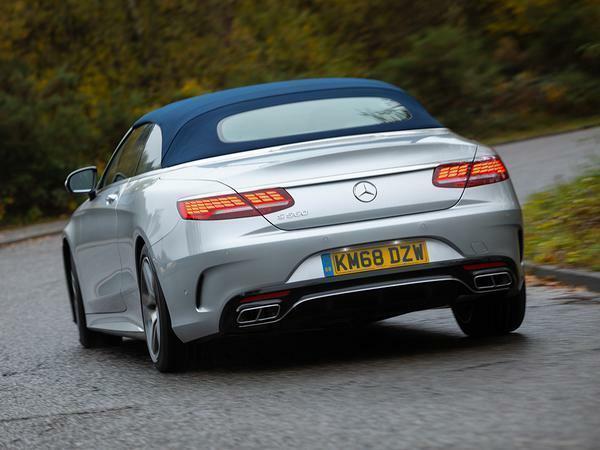 Course, it could also be because the S-Class cab faces such a high calibre of competitors, including the Aston Martin DB11 Volante and, in a few months, the new Bentley Continental GTC, so perhaps a V6 would have diluted the prestige of the range. But we'd like to think it's because those in Blighty just prefer their luxury drop tops with the kind of soundtrack provided by no fewer than four thousand cubic centimetres and eight cylinders. One thing's for certain; a lesser alternative couldn't offer such imperious performance from so little effort. Even in non-AMG state of tune, the S560's powerplant provides 516lb ft of torque from 2,000rpm to 4,000rpm. And it comes coupled to Merc's latest 9G-Tronic automatic gearbox, so there is no shortage of ratios to keep the engine spinning productively. 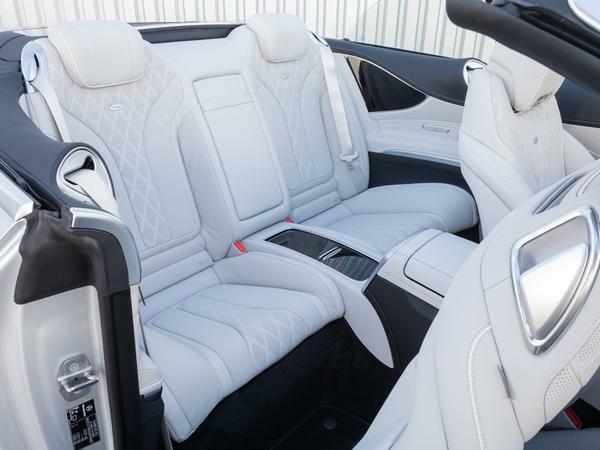 They enable Mercedes' most junior S-Class cab to shift all 2,075kg of its metal, leather and wood to 62mph in 4.6 seconds before ploughing into its electronically capped 155mph top speed. Yet those numbers hardly illustrate the breadth of what the S-Class offers. 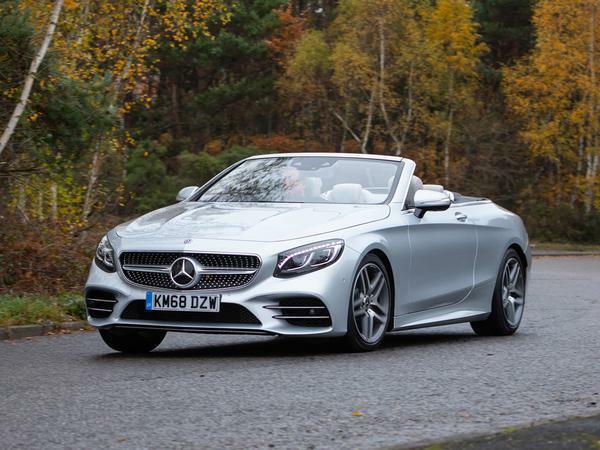 Buyers of a £115,815 drop-top are probably no less interested in turning up at their destination completely unruffled. 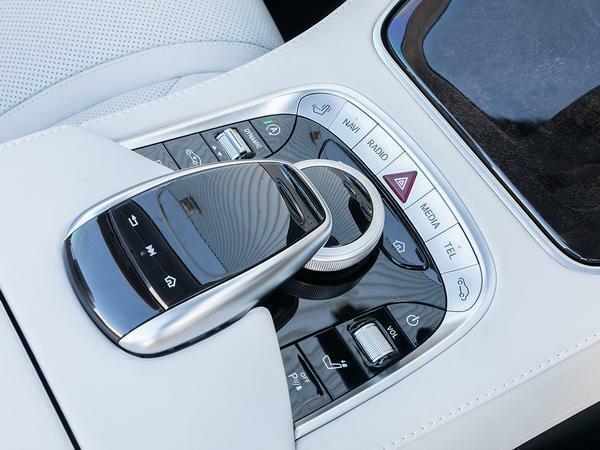 As such, the S560 comes with Mercedes' Airmatic suspension and its continuously variable damping (the more advanced Magic Body Control is an option our car doesn't have), while inside there are heated seats all round and air scarf technology to keep your neck warm - all as standard. Our test car also has contour seats with a massage function, part of the £4,995 premium equipment package. 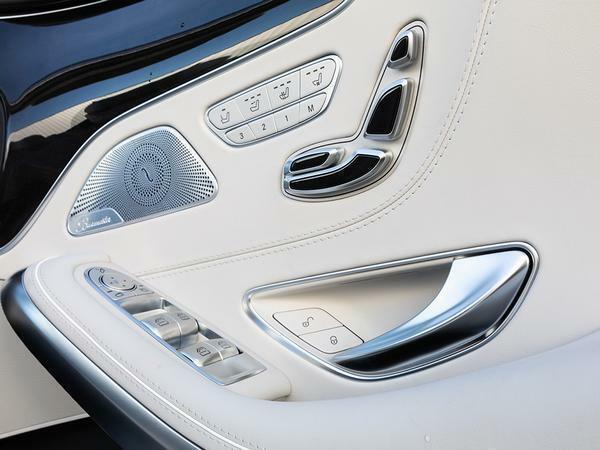 Since the last update was applied in 2017, all S-Class models get Mercedes' widescreen Comand infotainment system, which turns the dash into a slab of information controlled by a touchpad and rotary dial on the transmission tunnel, as well as buttons on the steering wheel. The system's no longer bespoke to the S-Class range - you'll find a shrunken version of the same kit in the new A-Class - but it certainly looks most at home among cream Nappa leather and black poplar wood trim of our car's cabin. Far from intimidating, few interiors are more inviting than this one. Nor do many do a better job at wrapping themselves around you like a cashmere blanket on a cold winter's day. 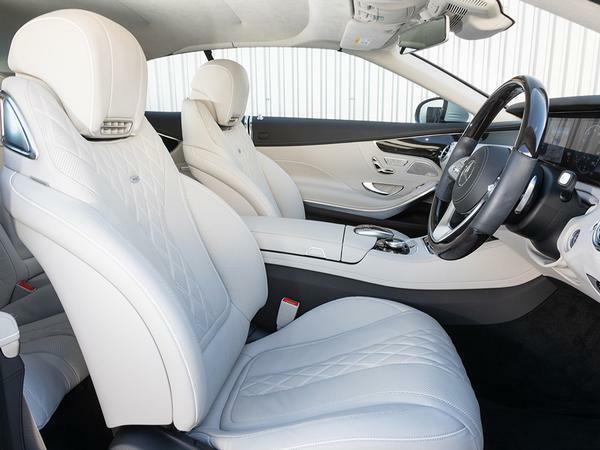 The S560's roof can do its double-layered fabric origami fold in 20 seconds, at up to 37mph. The location of vents coupled with the instantaneous cooking of backside via heated seats helps to cocoon you in a zone of warm air that circulates between the opulent boundaries of the car's glasshouse. 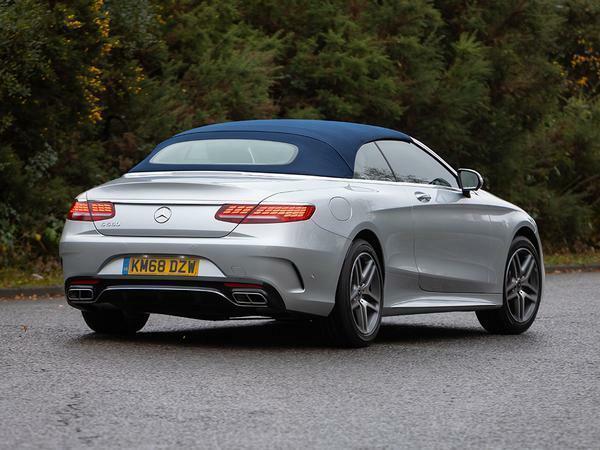 Coast along with the suspension and powertrain left in Comfort mode, and this two-tonne Mercedes convertible is - who'd have thought it - a thoroughly relaxing, totally cosseting place to sit, even with the top down on a five-degree day. The only suggestion that anything remotely powerful lives under the bonnet comes with occasional low frequency burbles from the exhaust as the nine-speed 'box slinks up another cog. 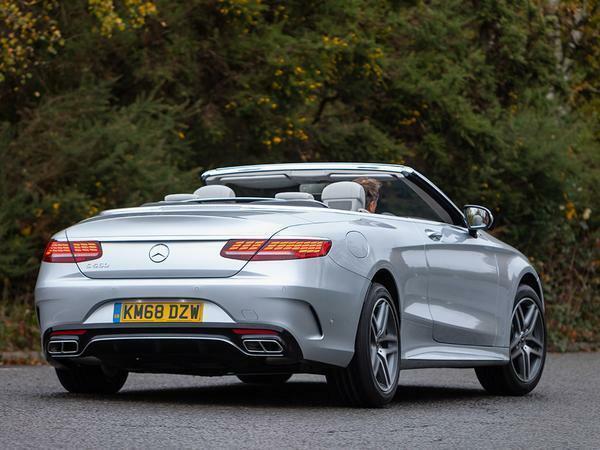 Put the roof down and the engine's deep tone becomes audible, but it's typically S-Class quiet and a very, very far cry from the rough, thunderous belch of an Affalterbach-tuned version of the same eight. Even when asked of all 469hp in Sport mode, the engine remains extremely well insulated - it sounds menacing eventually, but always in a subdued manner, like distant thunder. Really, really distant thunder, actually, given how refined this car is. Still, you're certainly always aware of its ability to instantly thrust your lavish surroundings 100 metres down the road; entry model or not, the S560 is mighty potent. Corners do present the S560 with more of a challenge, particularly if you ask it to attack them like the sports cars its engine typically powers. The air suspension makes no bones about its focus on comfort, so the body is allowed to move more than a DB11 Volante's, and the steering is a navigational tool far more than a sensory contact point - but what else did you expect? While it doesn't feel particularly interested in upping the ante, at no point will the S560 run out of answers. Take a corner at speed and there always seem to be a surfeit of grip, while the suspension never runs out of its cushioned support. Swift progress can certainly be made without issue; it is the surroundings though which work to discourage loutish behaviour. 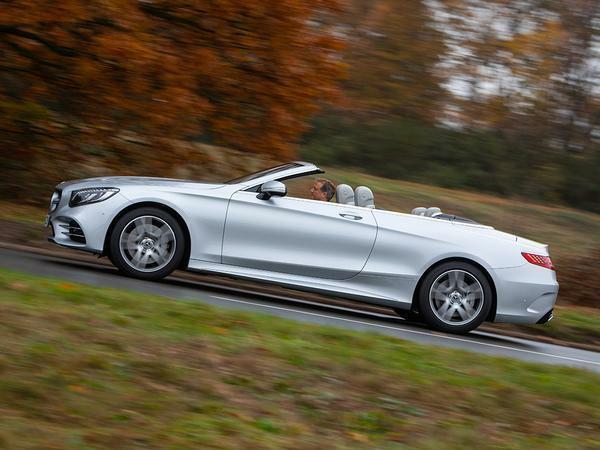 Instead, with the roof up or down, you tend to let the S560 take the strain while you effortlessly glide along on top. It comes with as much driver assist technology as is available from Mercedes' entire suite - there's far too much to list here - plus, our car featured useful options such as a night vision camera, so the level of work required is at the bare minimum, should you want it to be. Should you not, there's always that 'hot-V' motor to inject a bit of excitement. And while the S560 never feels as sporting as a DB11 Volante or as dramatic as a GranCabrio, it remains arguably the most broadly talented machine in the segment. No doubt the BentleyContinental GTC will have its sights set on much the same sort of roundedness. Thankfully, we've not long to wait to see how that title fight unfolds. Are we 100% sure this isn't an E-Class cabriolet? Hard to believe over 30 years ago the last Merc to wear the 560 badge was on our roads and way ahead of its time! I love this! To me it's far more understated and relaxed than the Bentley or the Aston. Can cruise the Cote d'Azur or pop down the local chippy. At least someone in Germany still knows what a luxury car is meant to be about, rather than trying to make every two tonne barge "sporty".